Celebrations start the 31th of December, with a dinner mostly served late in the evening. 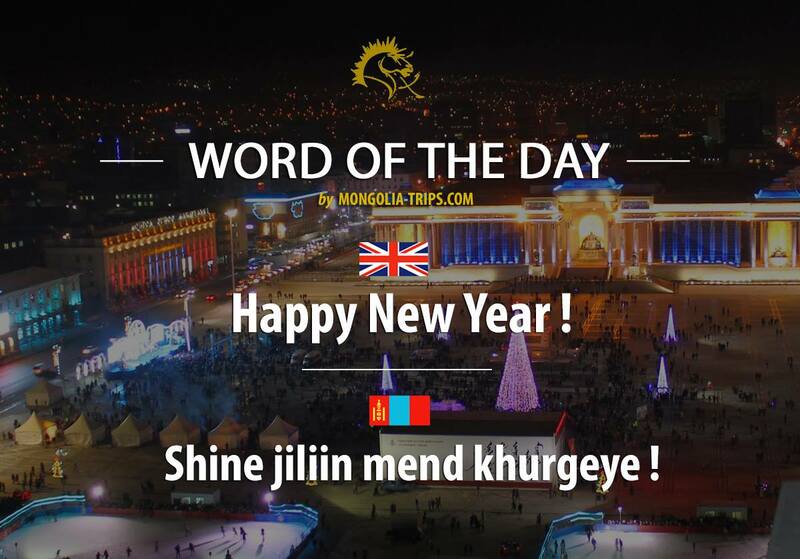 You can always find different sorts of salads, Mongolian buuz, some cakes, and Champagne to accompany these meals... A traditional speech of the Mongolian President Tsakhiagiin Elbegdorj is seen live on TV, 5 minutes before the countdown starts. 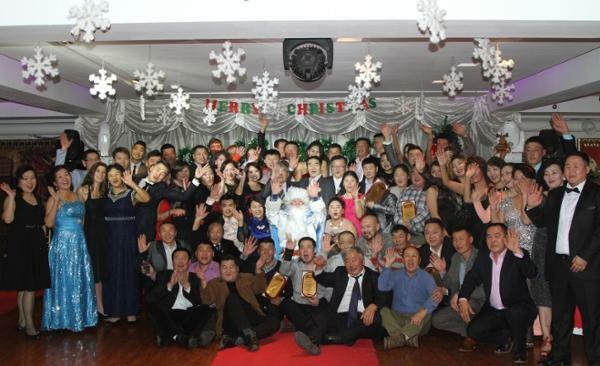 All achievements by the government of the year 2015 are listed and a toast of milk is raised by the President in his traditional Mongolian bowl, made of silver and copper. 10 seconds later, every families are opening the Champagne as they enter into the new year 2016. 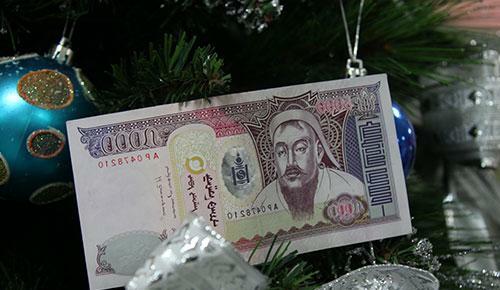 In Mongolia, most parents have this tradition of decorating the New Year's tree for their children, resembling as the Christmas tree. The coming guests who are visiting the family the 1st of January then can hang some bills of Tugriks on the tree for the children. Of course, if several children are part of the family, then the money is shared equally. The tree became a symbol of prosperity and wealth for families that proudly display it at home, and a great way for the children to make some money during the winter! 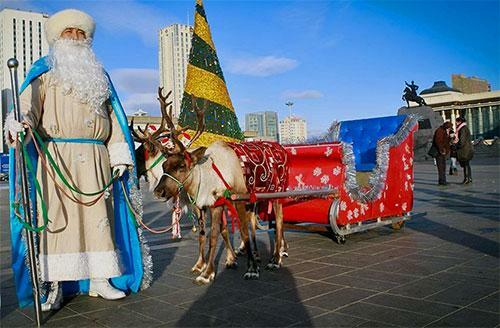 Mongolian people are celebrating the New Year similarly as Russian people, to the point of sharing the features of Santa Claus, known under the name of Ded Moroz ("Grandfather frost"). Often coming with his granddaughter Snegurochka (snow maiden), Ded Moroz is depicted as a tall man with a great white beard and wearing a deep blue or white color long dress. His granddaughter is here to help offering the gifts to young children not for Christmas, but only for New Year. 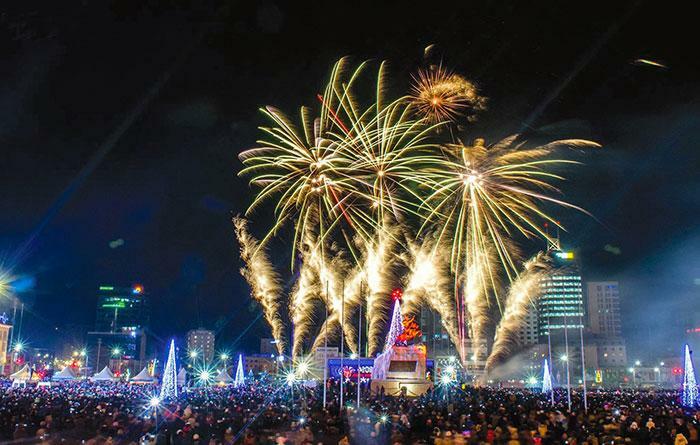 If you happened to be in Ulan Bator during this period, you can attend a wonderful moment at the Genghis Khan's square, to see concerts and performances as well as a great firework, organized by the city. 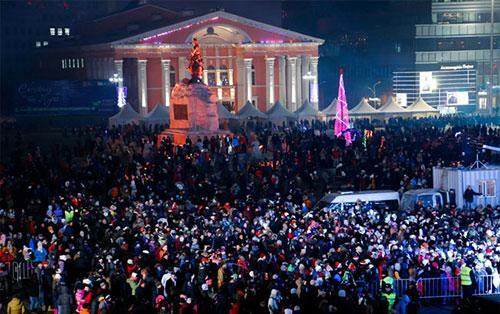 The firework is the main event of the night after the count down, when parents as well as children especially authorized to stay awake late in the night are delighted by the view. SHINE JILIIN MEND KHURGEYE !